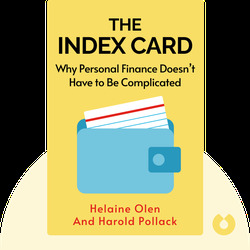 The Index Card (2016) simplifies personal finance. These blinks cover everything from getting a good deal on your mortgage to securing quality life insurance, starting your own savings account and even choosing a financial advisor. 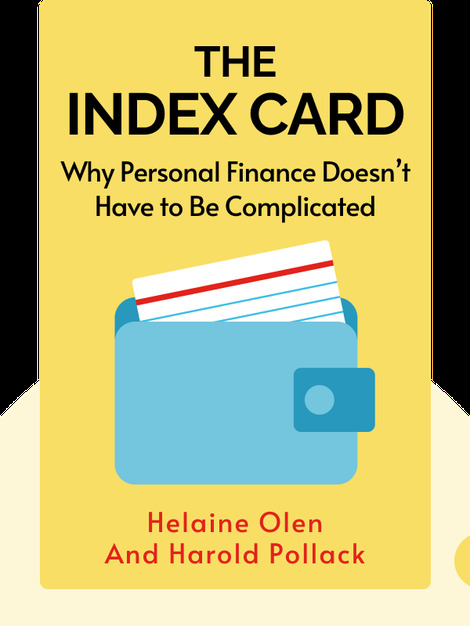 Helaine Olen is an award-winning financial journalist who’s among the top 50 Women Who Are Changing the World according to Business Insider. Harold Pollack is a professor at the University of Chicago.